Anyone can beat you up. We build you up. 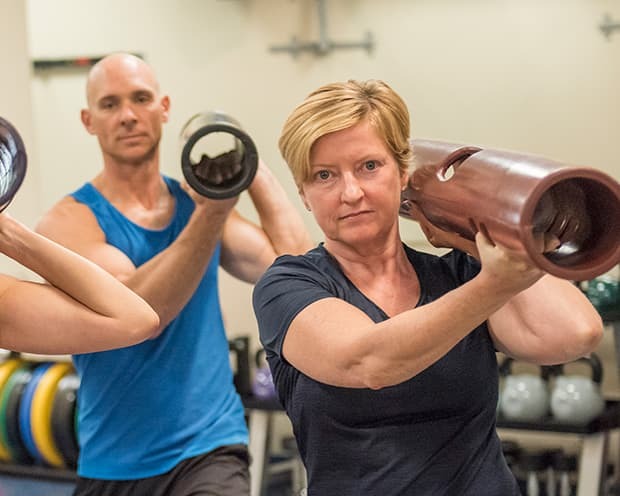 Praxis Performance + Wellness is a boutique training center that caters to clients of all ages and fitness levels with a wide variety of group classes and private training. 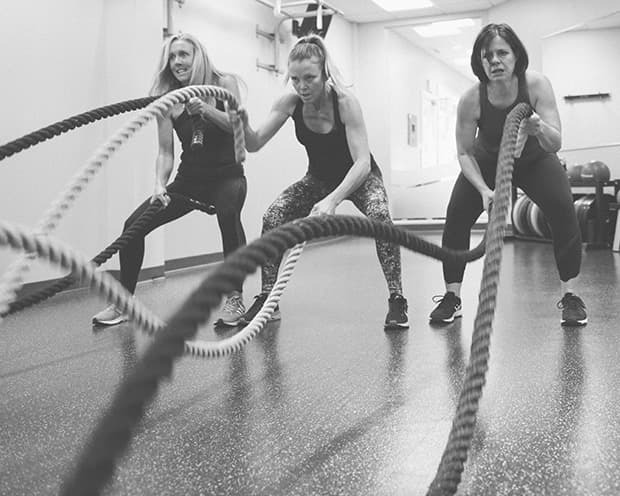 Personal attention, small classes and an intimate training environment help our award winning fitness experts maintain our exceptional record of client success. A unique mix of training and programs specially designed for individual achievement. STOTT PILATES® is the contemporary approach to the original Pilates method based on modern principles of exercise science and rehabilitation. 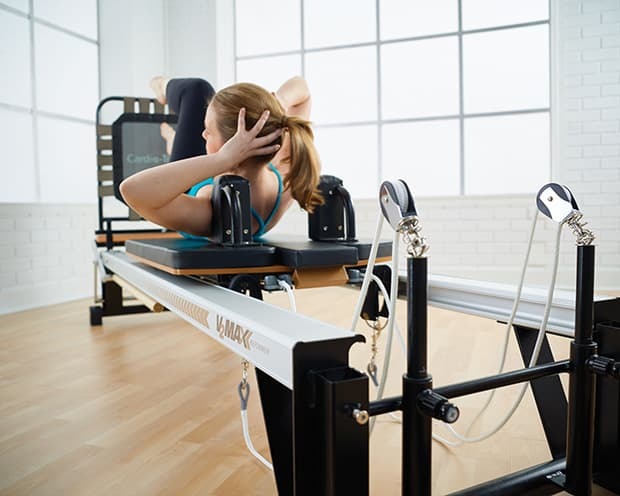 At Praxis we offer training using all of the Pilates® equipment – Reformer, Cadillac and Stability Chair™. Develop a long, lean and strong body from the inside out! STOTT PILATES® Matwork is the perfect foundational conditioning for all levels of participants – get a great workout while still fostering the basic principles. We guarantee you will enjoy the discipline of precision and performance. This fun workout combines cardio intervals on the trampoline re-bounder with muscular strength and endurance moves on the Reformer to stimulate both cardiovascular and muscular effectiveness. 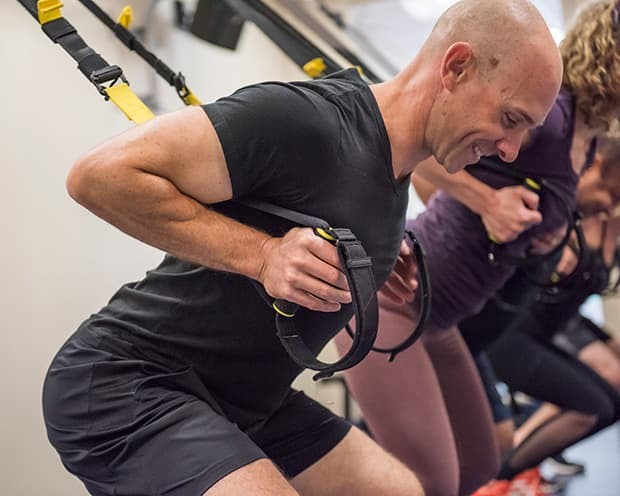 TRX® Suspension Training allows you to use your body weight as resistance to develop strength, endurance, mobility, balance, flexibility and core stability. Experience mindful movement, strength, mobility and flexibility while using the TRX® Suspension Trainer to assist and challenge you. 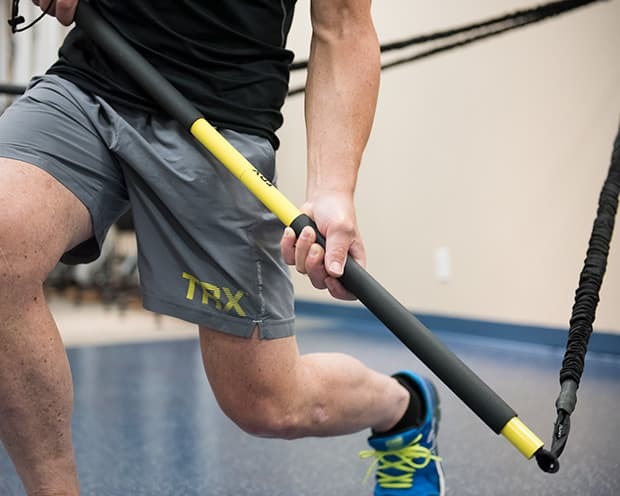 Mixing rotation, core stability, power, mobility and coordination challenges, the TRX® Rip trainer offers strength and cardiovascular conditioning with variable resistance using a lever bar and cord. 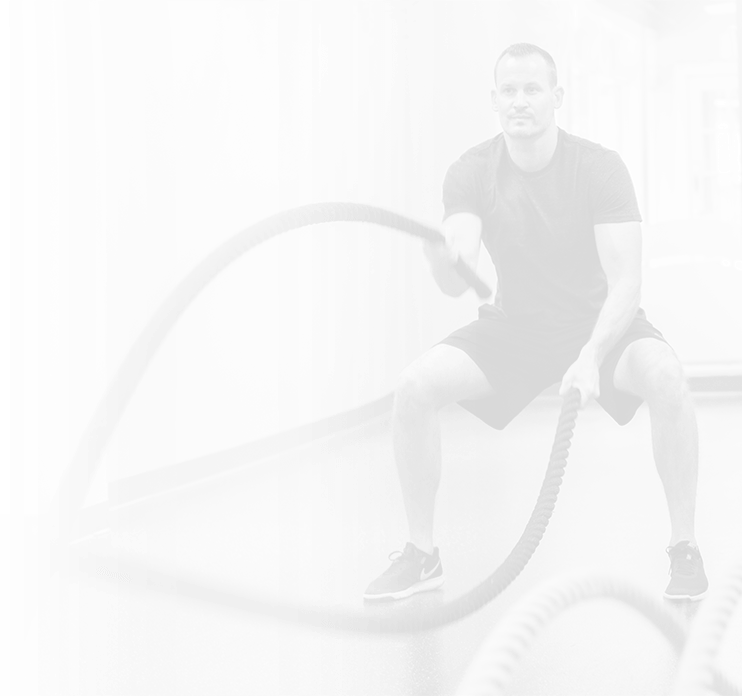 Learn how to properly execute functional movement patterns such as the Plank, Hinge, Squat, Lunge, Push, Pull and Rotate and use various tools to challenge them: battling ropes, sandbags, kettlebells, TRX® Rip Trainers and Suspension Trainers, medicine balls, SkiErgs and more! Improve your movement performance, skill acquisition, stability, overall mobility and durability. 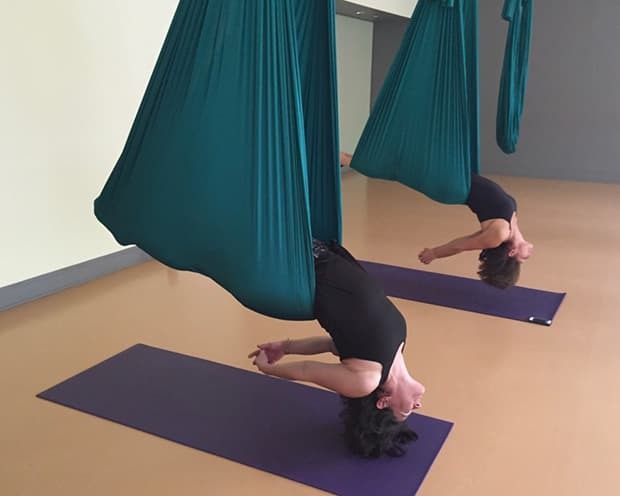 Use aerial fabric hammocks to defy gravity and discover your own potential! Praxis aerial classes are inspired by Pilates, yoga and mindful movement. You will build strength, improve flexibility and coordination, train your fascia and feel amazing! A transformative total-body workout using the WaterRower. 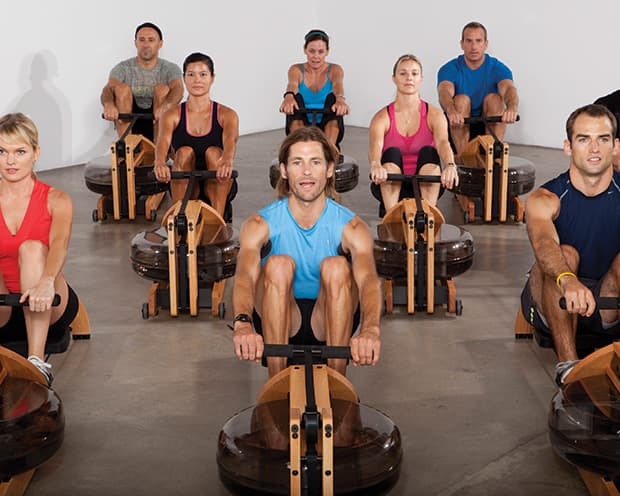 The sound of water while rowing makes the Indo-Row® experience an authentic one. Challenge the mind and your legs, core and arms. The outdoor ride is transported into the studio where you will experience a strength, endurance or interval-focused class. 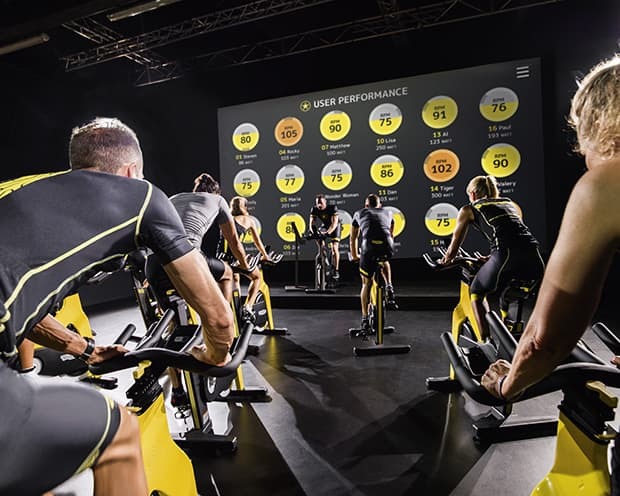 We use state-of-the-art Technogym bikes that measure cadence, speed and power. Total Barre® is a high-energy program driven by music. With a focus on strength, flexibility, stamina and dynamic stability you will increase coordination, improve your movement quality and have fun! Fascia is the new buzz-word in fitness today – come allow the Fascia experts at Praxis to teach you what it’s all about. Healthy fascia is proven to make you move better, feel better and look better. 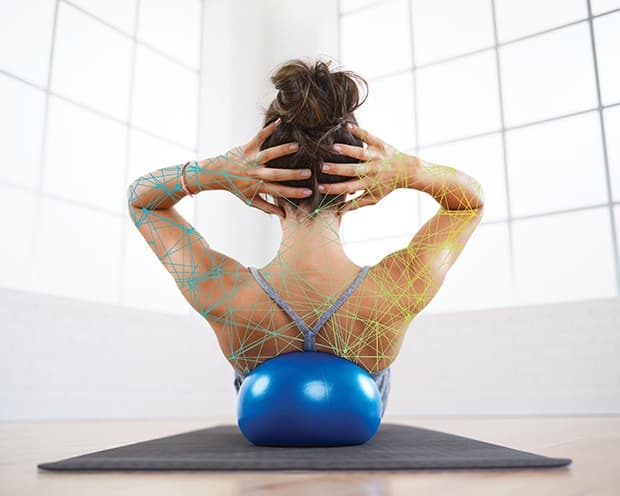 Your body will be more pliable, more durable and less prone to injury… all with the use of simple props such as resistance loops, stability balls, medicine balls, rollers with vibration and more. ViPR® (Vitality Performance Reconditioning) bridges the gap between movement and strength training through full-body movement patterns with a loaded rubber cylinder to enhance your athletic performance and conditioning goals. Feel the energy and move your body with fun and easy to follow Latin rhythms. The BEMER is a mat that you lie on and, which in just 8 minutes, boosts blood flow and enhances microcirculation using a pulsed electromagnetic field. 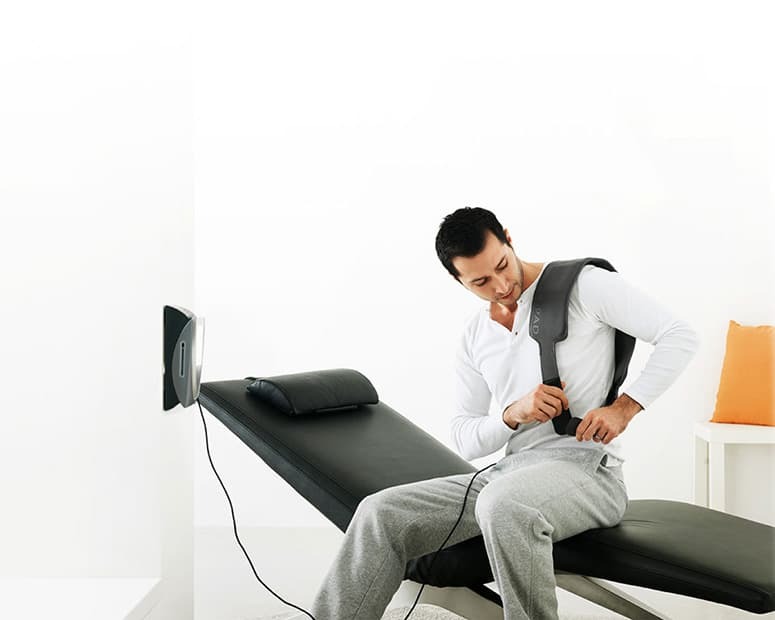 The vascular therapy provided by BEMER benefits all eleven operating systems of the body while enhancing the body’s ability to heal itself and increase mental acuity! Use it for both pre and post rehabilitation or simply before or after a workout to enhance performance or recovery. 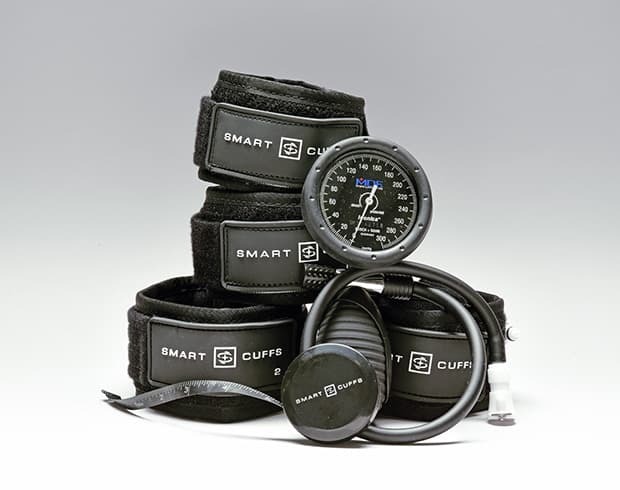 Blood Flow Restriction (BFR) training is a form of safe, low intensity resistance exercise that when applied has demonstrated enhanced muscle growth, muscle strength, oxygen delivery and utilization (VO₂Max), collagen dependent tissue repair and increased bone healing. It involves using a specialized tourniquet to reduce arterial flow and restrict venous flow to an exercising limb, using customized training protocols to precisely target your goals. 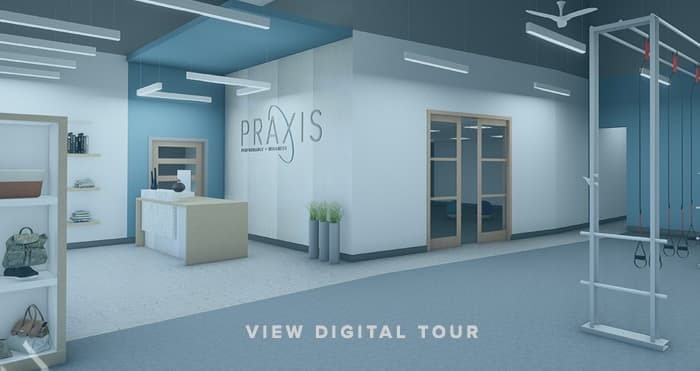 The Management Team at Praxis are members of your community passionate about living a lifestyle that includes movement, performance and wellness as primary pillars of daily life. Between us, we have decades of personal and professional experience empowering and inspiring our clients. We thrive on individual and team betterment and practice what we preach. We do not settle for status quo – we are innovators, always leading the field to be progressive with the latest technology yet never forgetting the simple tried and true aspects of mind-body movement. The individuals on Team Praxis are highly trained, research-based and seriously effective. We recognize that each and every person has enormous untapped potential, our goal is to lead you on your path to be your best, today, tomorrow and everyday. PJ is a sought after, internationally award-winning health and fitness icon. 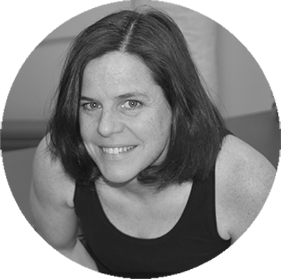 She has published numerous fitness and therapeutic programs spanning many disciplines; including Pilates for Breast Cancer Rehabilitation, Fascia & Movement and Athletic Performance for Cyclists. In addition to being a leader in the movement field since the 1980’s, PJ is a native of Beverly and has successfully trained generations of north shore residents and their families for decades. She is well known in both the consumer and professional markets as a movement innovator inspiring her local clients and fitness professionals from around the world. PJ specializes in TRX® & STOTT PILATES® and has appeared in well over 80 fitness DVD’s and digital platforms. She is highly driven, extremely passionate and committed to all aspects of health and wellness. In her spare time, PJ along with her husband is an avid cyclist and participantes in many charitable events. Caroline brings 20 years of management experience to Praxis. For almost a decade she has been an integral member of the management team at Clubxcel and Northeast Pilates. 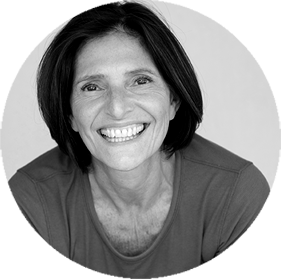 She holds a BA in Psychology and is a NASM Certified Personal Trainer and Certified STOTT PILATES® Instructor. She is well versed in all aspects of the fitness field yet is always eager to learn new methods to enhance both her craft and her clients’ fitness experience. Compassion for her students and quick wit are the trademarks of Caroline’s teaching style in both group classes and private sessions. Caroline is innovative, dynamic and well versed in areas of both prehab and post rehabilitation. She inspires her clients to improve their lives through movement regardless of age or physical condition. Caroline enjoys cycling, photography, pets and spending time with friends and family. Acea is a dynamic international and award-winning fitness educator/presenter who has spent over 20 years sharing his passion and knowledge in Fitness Club and Health Care settings. He holds a BS in Exercise Physiology and has successfully developed fitness teams in several Boston area clubs. As a Health Educational Specialist, Acea teaches a variety of different modalities to fitness professionals all over the world including TRX® Suspension Training, Dance with Zumba Fitness and Sport Specific Training with Plyo Power®. Acea is also a Senior Education Course Instructor for TRX® and Founder/Creator of Plyo Power®. He believes it is important to “remain a student of your craft forever.” Acea uses a gracious, knowledgeable, entertaining, systematic and clear approach when presenting health education. His goal is to provide safe, fun and simple ways to improve everyday movement so his clients can live life to the fullest. Acea is a dedicated husband and loving father to his two children. Jill has held several leadership roles in the wellness industry over the last 20 years. As an ACE Certified personal trainer, she inspires clients to achieve a balanced lifestyle that encompasses all dimensions of health and wellness. Jill has a BA in Education and a commitment to lifelong learning. She empowers clients with her knowledge and provides them the necessary guidance to achieve their personal goals. Whether the client’s quest is to climb Mount Kilimanjaro or simply create balance in their daily life, she is committed to them each step of their journey. When she is not at work, Jill enjoys hiking, meditation, paddle-boarding, cooking, reading and spending time with her husband and two children.